86% organic. For sun-kissed natural radiance. All skin types. Healthy skin is beautiful skin. Suitable for vegans. For a natural sun-kissed golden glow. Extract of Tonka bean and golden mineral particles even skin tone and enhance luminosity. 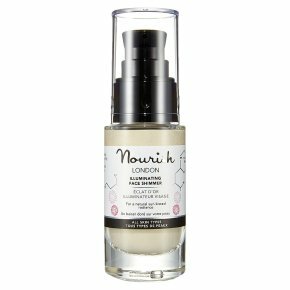 Collagen boosting tripeptides counter signs of ageing whilst ultra-hydrating hyaluronic acid boosts essential moisture levels. Directions: Apply a small amount to fingertip, dot over the face and décolleté, then lightly smooth over the skin. Can be worn under or over moisturiser, or blended into foundation for added radiance.